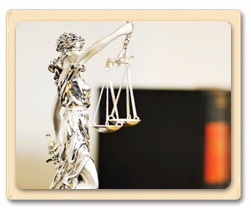 C. Anthony Rumore, P.A., is dedicated to serving business and corporate clients. Our firm is also a small business, and we understand and appreciate the needs of our small business clients. We strive to lighten your burden and assist you in dealing with the breadth of legal issues facing a small-business owner. Our firm can help your new or established business with the day-to-day legal issues that companies encounter, including business incorporation and formation of corporations, limited liability companies (LLCs), partnerships, and joint ventures. We provide advice and counseling on business opportunity evaluation, assist business owners with all types of business transactions and contracts. We will examine all aspects of your business or the business you are buying or selling, including issues of small business valuation, and help you understand which type of business entity best suits your goals. We prepare articles of incorporation, articles of organization, shareholder’s agreements, operating agreements, by-laws, minutes, and stock transfer ledgers. If you are purchasing or acquiring an existing business, there can be many legal issues that will need to be addressed. To help protect your best interests our skilled attorneys can provide effective representation to bring your transaction to a successful conclusion.